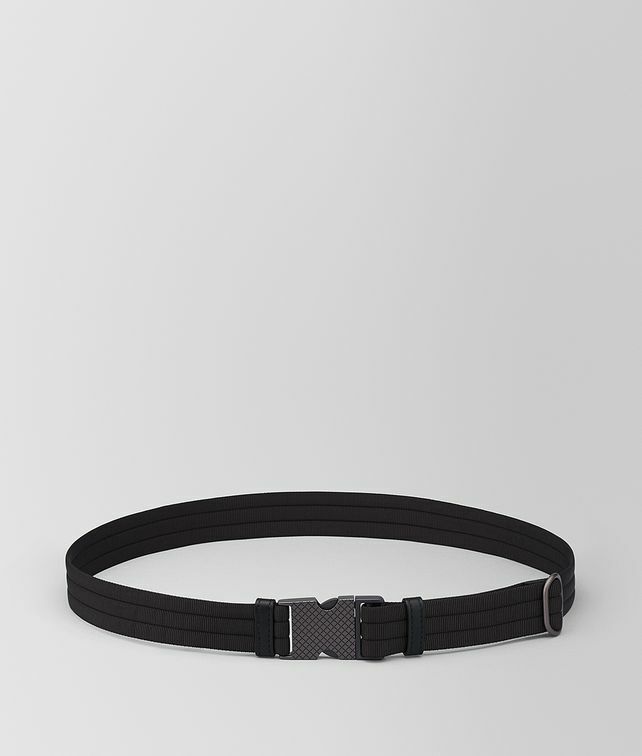 With a modern and sporty-technical look, this belt is crafted in nylon ribbon with calfskin loops. It has casual clip buckle closure with a hypoallergenic brunito finish that is engraved with the intrecciato motif. Use the metal slider on the side to adjust the belt for a perfect fit.